The Frankfurt-based agent LUG aircargo handling GmbH has purchased Hamburg-headquartered LHU GmbH. The deal, inked today (22 September) strengthens LUG’s position within the German freight handling market considerably. LUG won the contract following an open bidding process, offsetting three competitors that had participated in the tender. LHU is the top player at HAM Airport measured in volumes seen by its throughput of roughly 3,500 tons each month. 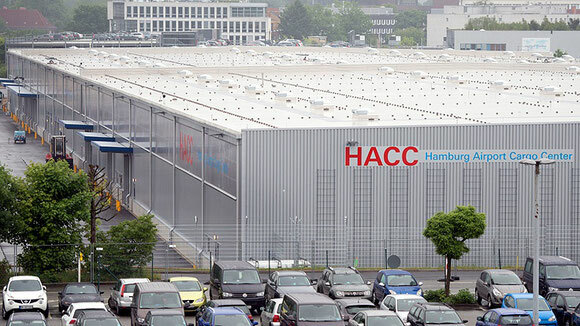 They run warehouse space of 8,000 square meters within Hamburg’s state-of-the-art cargo center, launched in May of 2016 and located within the airport area. LHU was put up for sale after their parent company Carl Tiedemann, a 125 year-old large stevedoring company, became insolvent some weeks ago. For the LUG managers it was an unexpected chance of widening their company’s handling business and taking a major slice of the northern German freight market. Yesterday, the employees of both companies were informed about the upcoming step. Today, the contract was signed, with LHU keeping their name for the time being. However, it can be expected that it will be replaced by the LUG brand. The LHU management is not affected by the change in ownership but will stay in place, internal sources told CargoForwarder Global. LUG has developed into one of the big players at Rhine-Main, one of Europe’s busiest cargo airports, running a covered warehouse space totaling 33,000 square meters, complemented by 11,000 sq. m. open air positioning space located adjacent to the aircraft stands at Frankfurt’s CargoCity South. In addition the company, that is part of the Bremen, Germany-based Dettmer Group operates 3,000 sq. m warehouse space at Munich airport. Overall, including the Hamburg space, LUG manages 55,000 square meters within cargo terminals at three German airports, making the firm to a local handling heavyweight.